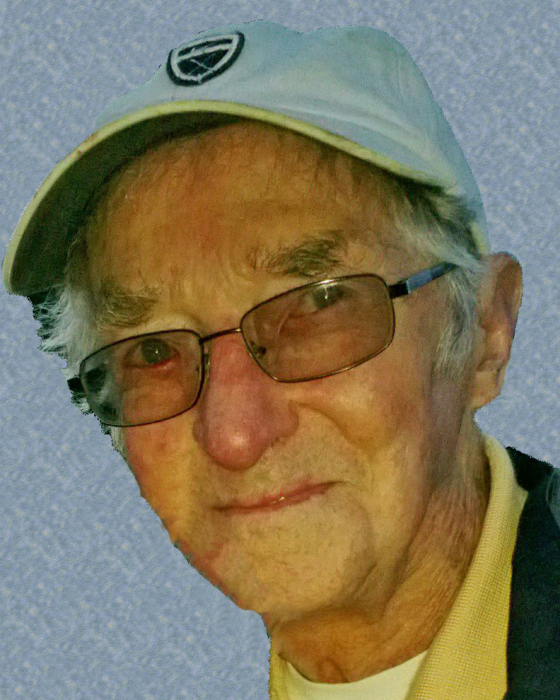 Hudson, SD: Rex D. Smith, 103, of Hudson, South Dakota, passed away peacefully on Tuesday, April 2, 2019 at Hudson Care and Rehab Center. Rex, a retired farmer, enjoyed a long, productive, life, living in his own home until four days before his death. Funeral services will be held Saturday, April 6, at 10:30 AM at Hudson Lutheran Church with Pastor Kevin Jensen officiating. Burial will follow at Eden Cemetery of Hudson. Visitation, with the family present, will be held Friday, April 5, at Hudson Lutheran Church from 5:00-7:00 PM. A prayer service will follow the visitation at 7:00 PM. In lieu of flowers, memorials may be directed to Hudson Lutheran Church. Rex Darrel Smith was born to Roy and Belle (Miner) Smith on June 25, 1915 at a farm near Hudson. He grew up on the farm, attended Virginia Country School, and graduated from Hudson High School in 1932. After graduation, he remained on the family farm, and on October 6, 1936, he was united in marriage to Frances Marie Lentz in Sioux Falls. Rex and Fran lived on the family farm for ten years before purchasing a farm southwest of Hudson in Lincoln County. They remained there for nearly fifty years while raising a family of five children. They sold the farm in 1994 and purchased a home in Hudson, where they enjoyed retirement together until Fran died on November 13, 2007. With the help of family and friends in the community, along with his own good health, Rex continued to live in his home until shortly before his passing. Rex devoted his life to his family, to his farming, to his faith, and to his many friends. He often said that his experience of living through the Depression years in the 1930’s helped him to cope with the challenges of establishing his own farm operation, and to appreciate all good things, no matter how small, that came as a result of his diligence and devotion. Rex was a long-standing member of Hudson Lutheran Church. He supported the church in many ways, including serving on the Church Council, helping serve at The Banquet in Sioux Falls, and mowing the church lawn in his retirement years, until age 102. He also served a number of years on the Hudson School Board, and as a 4-H leader. Over the years, Rex was able to make time for some leisure activities. He enjoyed playing cards – cribbage, pinochle, and pitch, in particular. He was an avid bowler on various teams in the ‘60’s, ‘70’s, and ‘80’s. And, at age 69, he took up golf, which he continued to play for the next twenty years. In his later retirement years, he kept busy gardening, reading, doing crossword puzzles and cooking. He made hundreds of jars of jelly from grapes, plums, and various berries, many of which he picked himself. His jellies won many awards at the Lincoln County and State Fairs. Family members provided opportunities for Rex and Fran to do some traveling prior to and during their retirement. They enjoyed trips to Green Bay, St. Louis, and the North Shore of Lake Superior, among others. A highlight for them was a trip to the Rose Bowl Parade and California coastline in 1996. As a long-time St. Louis Cardinal baseball and Green Bay Packer football fan, Rex made additional trips to watch his favorite teams. He traveled twice to Florida to watch Cardinal spring training games. And, he attended multiple World Series games in 1982 and 1987, both of which involved the Cardinals. Another special family trip for Rex, after Fran’s passing, was a trip to Custer Battlefield Monument in Montana in 2010. But Rex’s greatest pleasure came from witnessing the accomplishments and activities of his ever-expanding family. Through the years, he attended countless athletic and music events, weddings, birthdays, graduations, confirmations, baptisms, and family reunions involving four generations of descendants. He took great pride in seeing his work ethic, his desire for learning and self-improvement, and his interest in contribution to the community betterment being passed on and magnified from generation to generation of his family. Rex is survived by his sons, Murray (Donna Kjonaas) Smith of Orono, Minnesota; Rod (Marie) Smith of Gering, Nebraska; Gene (Ann) Smith of Sioux Falls; daughter, Denise (Doug) Van’t Hof of Hudson; daughter-in-law, Geraldine Smith of Hawarden, Iowa; 17 grandchildren; 34 great-grandchildren; and 8 great-great-grandchildren. He was preceded in death by his parents; infant son, Darrel Patrick Smith; son, Jerome “Jerry” Smith; grandson, Gary Smith; brother, Harold Smith; and sisters, Hazel Burke and Irma Adams.